The ZNJ series screw press pulp washer is designed for washing and thickening various paper pulp. 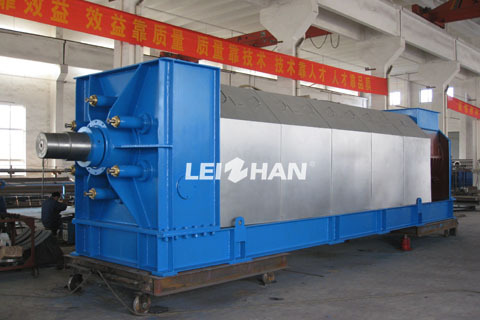 The conical shaft and a decreasing pitch of flights in the screw strength the pulp washing and thickening effect. At the discharge end, back-push assembly is automatically controlled to prevent blockage and to achieve the highest dryness. At the end of the screw, the shaft dewatering zone to make the final pulp consistency increase. The screw diameter is Φ400-Φ1100, after treated by pulp washer, pulp concentration be able to reach to more than 25%. ● Fitted with inner dewatering assembly with holes, dewatering of pulp layer is uniformly.